I really like this. It makes me eager to return to Florida – in hopes that the botanical garden hasn’t sustained too much damage. Beautiful image Sherry. 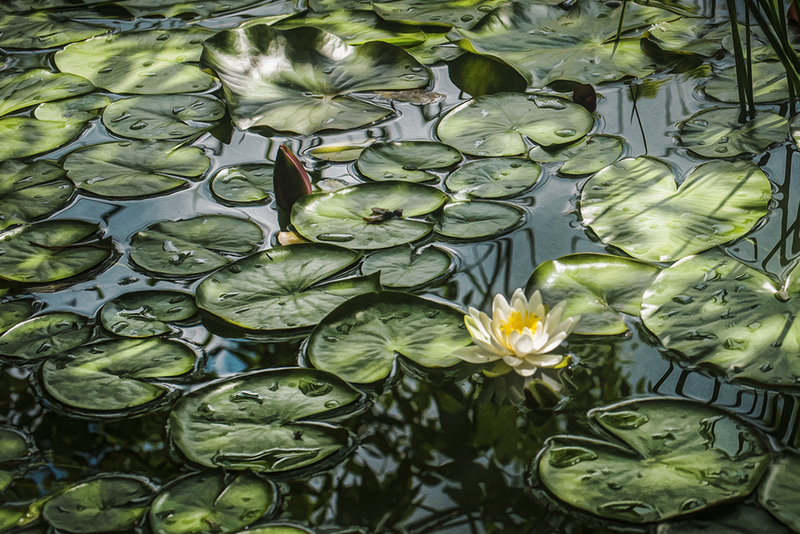 Love the lone flower amongst all the lily pads. Luminous and vibrant image…it draws me inward, just like the Monet quote. Beautiful and powerful, Sherry! Thank you. Sherry, this is pure magic. This is such a brilliant photo! And the perfect quote by the king of the water lilies himself. Perfectly processed and shot…jumps right off the page and into a frame…lovely tones and contrast…The quote is perfect. what a lovely sentiment. I hope all is well with you Sherry. I’ve been off the computer for so long except for very brief and even more intermittent moments — for months! What a great introduction back to your lovely place in the world. Fabulous! Just the right balance of detail and impressionism. I love it.